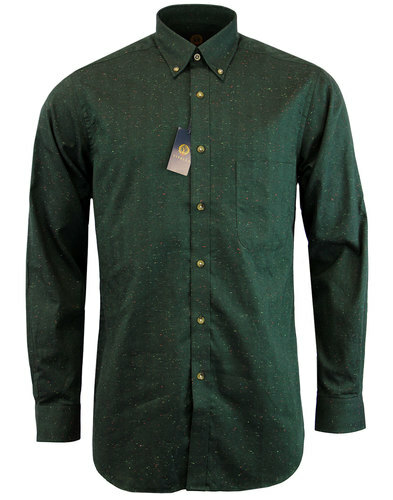 Lyle & Scott Classic Tartan Check L/S Shirt with traditional Sixties Mod button down collar. Bias check placket and chest pocket add an intriguing Retro twist and block colour interior trims add an air of sophistication. 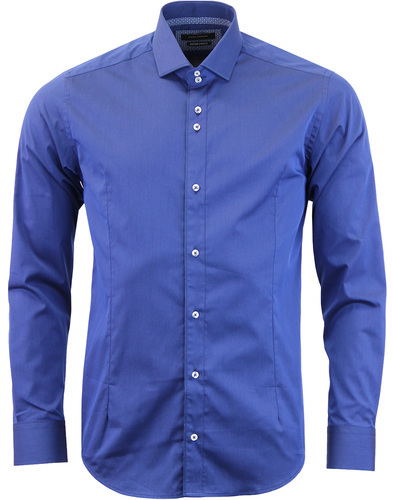 A shirt that is perfect for that smart-casual Mod look. 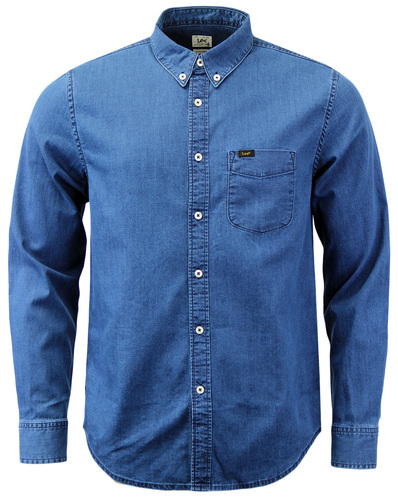 Pair with dark denim jeans for a timeless look. 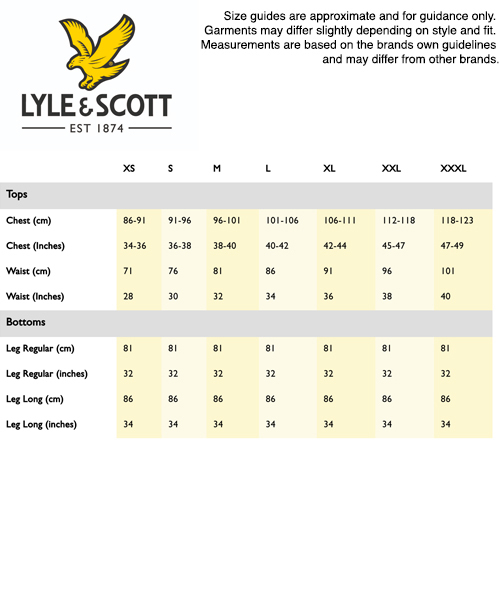 Finished with iconic Lyle & Scott Golden Eagle signature. 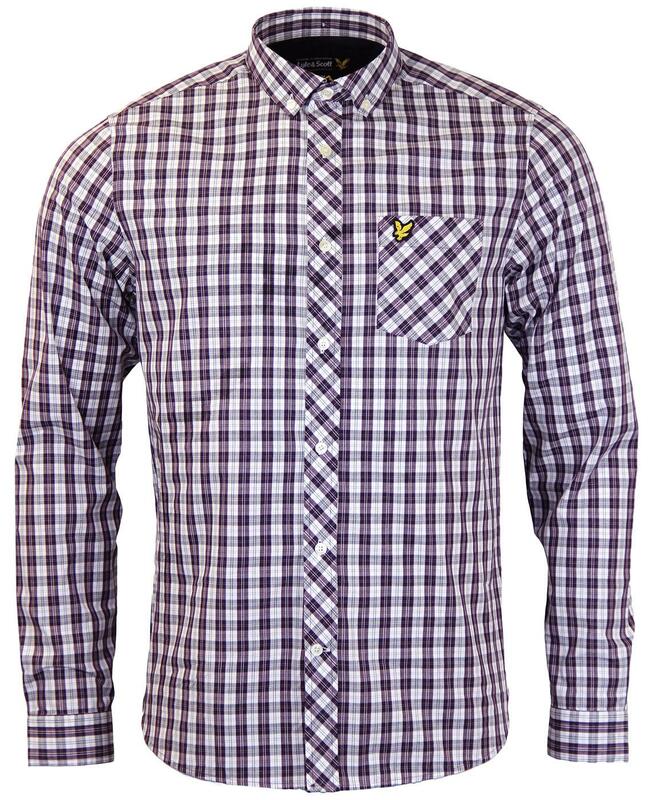 Lyle & Scott Mens plum and white Retro Tartan Check shirt with Sixties Mod button down collar, classic button cuffs and neat tonal stitch. Curved hem with block colour trim to the cutaway. Bias check detailing to the button placket and the traditional patch chest pocket. Block navy interior back neck detailing and cuffs. Subtle Lyle & Scott branded buttons. A fantastic Autumn colour palette on finest woven cotton fabric. 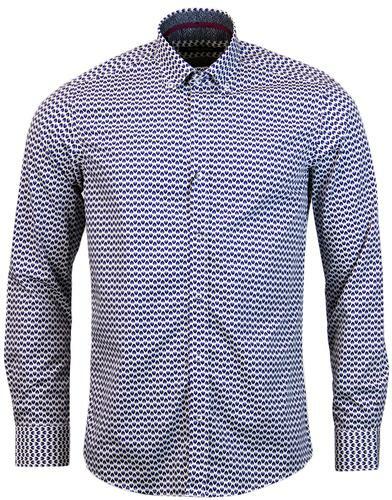 A Lyle & Scott Retro shirting masterpiece. Key Points: Lyle & Scott Tartan Check Button Down L/S Shirt with Golden Eagle sign off. Care: Machine wash. Please refer to garment care label. SKU: LW302CL Tartan Check Button Down Shirt. Small - 36" - 38"
Medium - 38" - 40"
Large - 40" - 42"
Extra Large - 42" - 44"
Extra Extra Large - 44" - 46"